DeforestAction Teacher Guide – Draft 1 | Collaborate for Change! Katherine Walraven from TakingITGlobal (TIG) is a brilliant educator. She’s also a passionate champion of transforming education and a key member of the always impressive TIG team. As an outcome of the Microsoft Regional Innovative Education Forum in Singapore, DeforestACTION was created as a project-based learning opportunity for students to understand and take action on deforestation in the Asia Pacific. 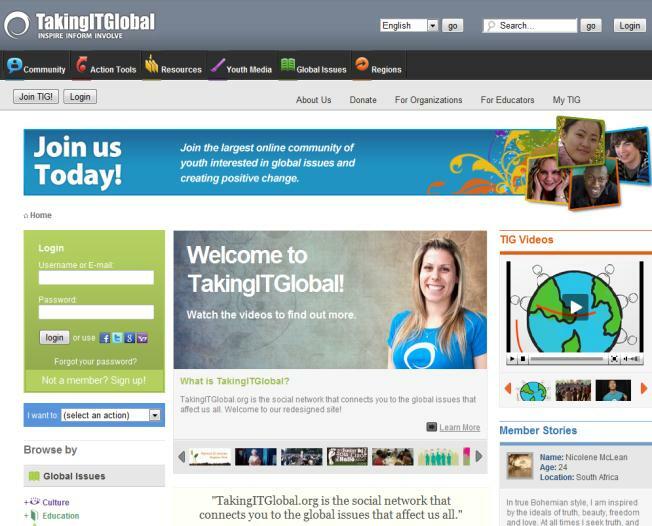 Eight schools will collaborate with TakingITGlobal (TIG) to propose ideas and collaboratively design an action plan using social networking tools and resources, including blogs, discussion boards, video chat, podcasts and more. This project is inspired by the book High Noon: 20 Global Problems, 20 Years to Solve Them written by renowned World Bank economist, Jean Francois Rischard. 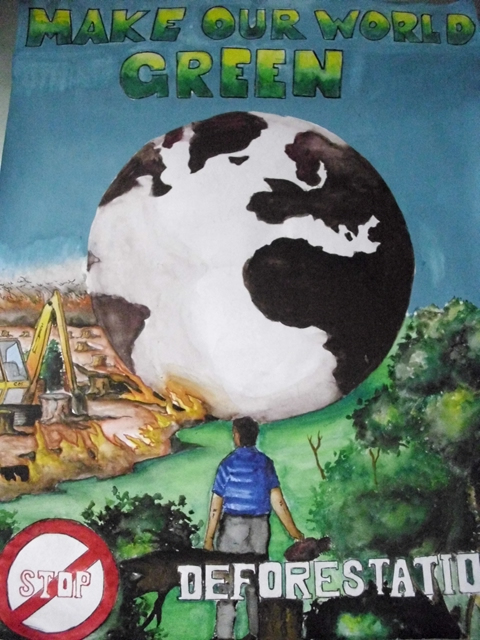 In his book, Rischard argues that the fate of future generations depends on our capacity to quickly and effectively address 20 pressing global issues, including deforestation. There are two issues related to deforestation: it is getting worse, not better, and the traditional approach to dealing with it, such as international treaties, is simply not measuring up. The main challenge, he argues, is that we still haven’t caught up with the high-population, fact-paced, globalized and interconnected world that we are living in. The rate and depth of globalization has far exceeded the development of our institutions and approaches to decision-making. Identifying technology as a crucial tool in the fight to address increasingly complex and urgent global issues, Rischard notes that the “global issues networks” made possible through the internet should be utilized to keep governments accountable to the people they represent. These networks of concerned citizens can make decision-making more inclusive by giving people the voice, and hold institutions, businesses, and organizations accountable by monitoring their compliance with globally recognized standards and commitments. As schools are looking for ways to engage their students in real-world issues through their learning, this collaboration aims to empower students to take on challenges like deforestation through the use of technology. Deforestation occurs when areas that used to be forested are converted for use in other ways such as logging or as agricultural ground. The causes of deforestation the multiple and complex. Local pressures arise from communities using forests to provide sources of food, fuel and farmland. Poverty and population pressure can lead inexorably to the loss of forest cover, trapping people in perpetual poverty. Whilst millions of people still cut down trees to make a living for their families, a major cause of deforestation is now large-scale agriculture driven by consumer demand. In recent decades deforestation has shifted from a largely state-initiated to an enterprise-driven process. The drivers of the demand for agricultural land vary globally. In Africa, it is primarily small-scale subsistence farming. In South America, it is large-scale farming enterprises, producing beef and soy for export markets. In South East Asia, the driver is somewhere between the two, with palm oil, coffee and timber the main products. in the emission of heat-trapping carbon dioxide into the atmosphere. Approximately 14 million hectares – an area the size of Nicaragua – are converted for other land uses each year. This loss accounts for one-fifth of total global carbon emissions, making deforestation the second largest contributor to global warming. Forests therefore have a vital role to play in combating climate change. In addition to carbon storage, the forest and it’s resources directly support the livelihoods of 90% of the 1.2 billion people living in extreme poverty and are home to nearly 90% of the world’s biodiversity. Local communities depend on forests as a source of fuel, food, medicines and shelter. The loss of forests jeopardises poverty alleviation, and directly threatens Indigenous and forest-dependent peoples cultures. Climate change will hit the poorest hardest and so reducing deforestation will help build their resilience to climate impacts.